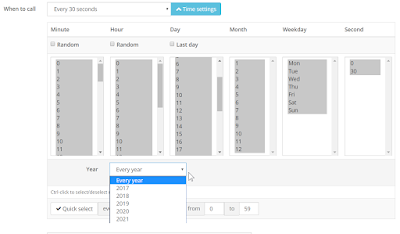 You can now set cronjob to run in a selected year. It'll be useful in case you want your cronjob to run only one time and not repeat in next years. To select the year field, click Edit cronjob, click button Time settings next to When to call field, then select the Year value. The default value is Every year.